SsangYong is offering buyers a free upgrade from front-wheel drive to 4x4 when they buy a diesel Tivoli or Tivoli XLV. The offer applies to EX and ELX trim levels and runs until 31 January 2017. Prices for applicable models start at £16,250 and the offer saves customers £1250. The Tivoli 4x4 system is ‘on-demand’, so under normal circumstances the car behaves like it’s front-wheel drive. If they start to slip, for example no slush or mud, then drive is sent to the rear wheels. There is also a lock mode, that splits drive equally between front and rear wheels at speeds up to 25mph, for especially tricky surfaces. EX trim comes with cruise control, Bluetooth connectivity, leather upholstery, 18-inch alloy wheels, dual-zone climate control, heated front seats, a touch screen and a reversing camera. Opting for the top ELX trim adds the option of an automatic gearbox, plus diamond-cut alloy wheels, a higher-tech instrument cluster, keyless entry and start, front and rear parking sensors, auto light, auto wipers, TomTom navigation and optional styling extras. 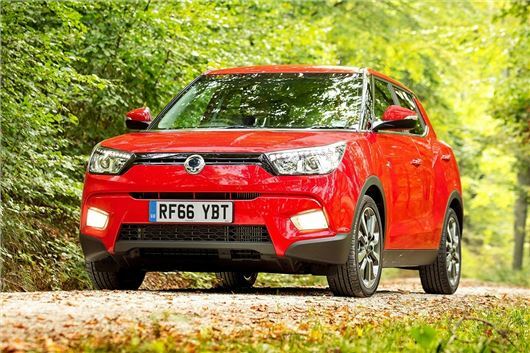 You can read our review of the SsangYong Tivoli here, and the Tivoli XLV, which is longer and has a larger boot, here.